for English, Mathematics, Science, Physics, Chemistry, Biology and more! Dux Private Tutoring provides the highest quality private tutoring service to students across Sydney studying for their HSC, Selective or OC exams. We run one on one sessions at our centres across Sydney, or we can send our tutors to your home or local public library for your convenience. 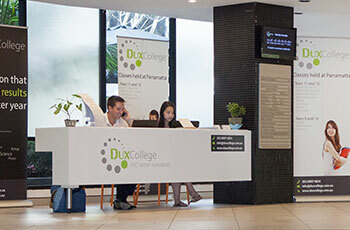 We bring Dux College’s years of knowledge and experience in bringing students HSC success with the convenience and focused attention of one-on-one tutoring. What’s your goal? Dux Private Tutoring helps you achieve them! At Dux Private Tutoring, we are intimately familiar with the needs of students studying for different goals – and most importantly, we know how to get them there! 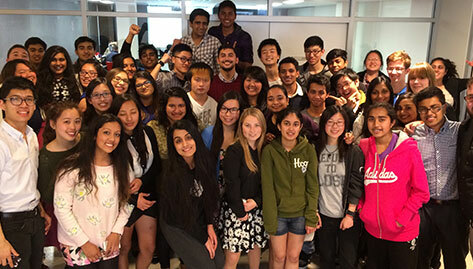 Our largest customer base is HSC students studying to improve marks and ranks at school throughout their year 11 and 12. The HSC is immensely important to a student’s future, so get the best possible support with us. Dux Private Tutoring can help students in years 5 and 6 prepare for the Selective Schools Entrance Exam. Securing a placement at a selective school in Sydney is often the first major achievement, starting a lifelong habit and pattern of success for a young student. Dux Private Tutoring can help young children typically in year 3 and 4 secure a placement at an Opportunity Class school. These classes often have a very high rate of success for securing a placement at a high ranking selective school in year 7. Unlike ALL other private tutoring companies out there, we aren’t simply an agency that connects the tutor to the student. 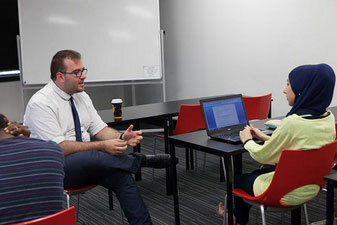 We’ve been in the business of running a large, reputable tutoring college in Sydney, and we bring with us years of experience in generating highly successful HSC students. Our tutors are carefully selected by experienced managers that know what to look for in effective tutors. Our selection criteria for tutors are highly stringent and we are confident our tutors are simply better. We provide students with course materials to ensure learning is structured. All our students have access to Dux College’s proprietary materials, including course summaries, practice exams, instructional videos and more, so our students receive the highest quality support. Whether you’re looking for a tutor to stay with you for your entire HSC or a tutor to help you get through an exam period, we can help! Whether you’re looking for a tutor to help you succeed in your next big exam (HSC, Selective Test, OC etc) or a tutor to help you get through an exam period, we can help! We make it easy! After you make a booking with us, we will give you a call to confirm your details, assign you a tutor and confirm your start date and time. The tutor will then come to your home or local library at the scheduled time each week, until you tell us you want to stop or change tutor. Payment is made in advanced either by credit card or direct debit, and we’ve got different packages to suit different needs.